Facial fillers, also known as dermal fillers, help individuals rejuvenate and revitalize their facial appearance without surgery. 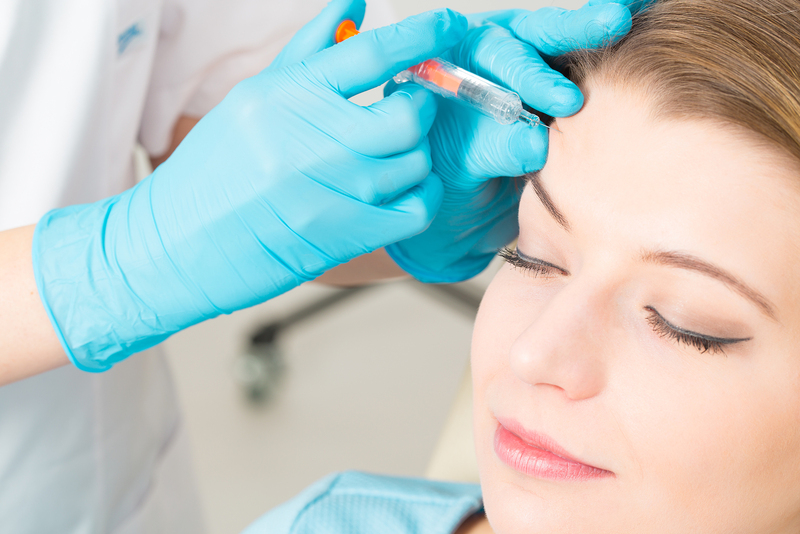 Many facial fillers are available, and deciding which one to use sometimes can be difficult. Thankfully, there’s the CENTER for Advanced Facial Plastic Surgery, a leading provider of facial filler treatments in Beverly Hills. Voluma is an FDA-approved injectable gel that consists of hyaluronic acid, a substance that occurs naturally in the skin and helps heal wounds, burns and skin ulcers. It adds volume to the cheek area, resulting in a more youthful facial appearance. Juvederm XC is an injectable gel that smooths moderate to severe parentheses lines and wrinkles around the nose and mouth. It delivers safe, effective results that last up to one year. Juvederm Ultra Plus is an injectable treatment that temporarily adds volume to facial tissue and smooths the facial appearance. It contains a small amount of local anesthetic (lidocaine) to improve the comfort of the injection and reduces the appearance of wrinkles and folds around the nose and mouth. The Restylane line of hyaluronic acid facial fillers treat facial wrinkles and folds (Restylane and Restylane-L), enhance the plumpness and fullness of the lips (Restylane Silk), smooth lines around the mouth (Restylane Refyne) and add lift and volume to the cheeks (Restylane Defyne). To date, more than 30 million Restylane treatments have been administered globally. Radiesse is a wrinkle filler that plumps the skin, stimulates the body’s natural collagen production and increases skin volume. It is injected via a small needle and placed under the skin and frequently delivers results that last one year or longer. Sculptra is an FDA-approved facial filler that replaces lost collagen that otherwise causes visible signs of aging in the face. It is used to correct shallow to deep facial wrinkles and folds and provides results that can last more than two years. Belotero products smooth and fill wrinkles in the face. They are commonly used for lip augmentation, skin rehydration and restoration of facial volume. Volbella is a Juvederm product that adds volume to the lips and smooths perioral lines above the upper lip and around the edge of the lips. It helps boost lip fullness and enhance the appearance of lines around the mouth. The right facial filler varies from patient to patient. Fortunately, Dr. Azizzadeh takes a comprehensive approach to treat patients and help them get the most out of facial filler procedures. Dr. Azizzadeh requests a patient consultation prior to performing a facial filler treatment. At this time, Dr. Azizzadeh learns about a patient’s anti-aging goals. A facial filler consultation with Dr. Azizzadeh is a unique experience. Dr. Azizzadeh’s top priority is to help each patient get the best-possible facial filler treatment results. Before Dr. Azizzadeh treats patients, he allocates the necessary time and resources to fully grasp a patient’s cosmetic goals. Dr. Azizzadeh then teaches patients about the underlying causes of their cosmetic complaints and explains how one or more facial fillers can help them address these issues. Finally, Dr. Azizzadeh answers any patient concerns or questions regarding facial fillers and does everything possible to help a patient make an informed treatment decision. Additionally, Dr. Azizzadeh recognizes there is no such thing as a “standard” application of facial fillers and customizes each facial filler treatment to a patient’s needs. Dr. Azizzadeh studies a patient’s face and neck, and by doing so, identifies any issues that can be addressed during a facial filler treatment. Dr. Azizzadeh is dual board-certified in facial plastic and reconstructive surgery and otolaryngology (head and neck surgery). He possesses deep knowledge of the underlying structures of the face and facial nerve, and this knowledge helps his patients achieve natural results from facial filler treatments. To find out more about facial fillers, please contact us today at 310-657-2203 to schedule a consultation with Dr. Azizzadeh.